You will be picked up from your accommodation at around 15:55 pm and taken to Sindu Guest house where we begin your tour. 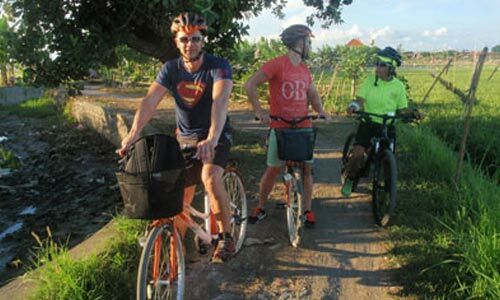 Our local guide will lead you down to Sindu beach where you will enjoy riding along the 5 km of beach path up until you get to Mertasari beach. 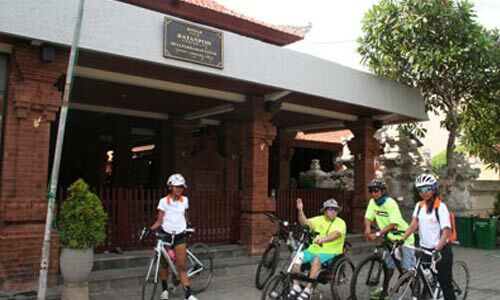 You will then turn west and ride into the outskirts of Sanur where you will visit "The Man Shed." Which is an old car & motorcycle museum and bar where you can stop for a cool drink if need be or just view the items on display. 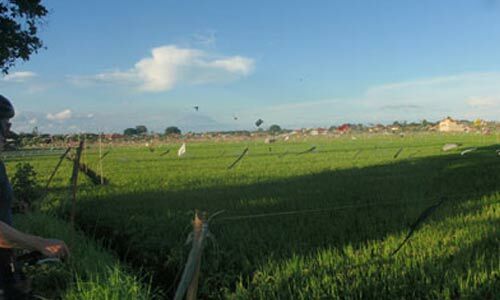 We then ride through beautiful rice fields and see the local people going about their activities. Next, you will ride through some of the quiet local back roads and visit a local beer garden. "The Sanur Garage." This is a local Harley Davidson workshop and showroom. Here there is also a display of modified Harley's and touring bikes that belong to some local Harley enthusiasts. 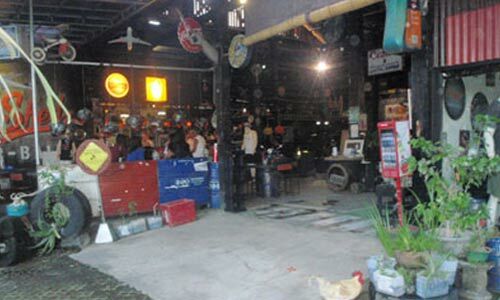 We will make a pit stop at "The "Cavern bar" for a cold soft drink or purchase one of the coldest beers in Sanur as well. Or become a lifelong member of this establishment receiving your personalised member card. Cost of this is (30,000rp which includes a beer or soft drink). This bar boasts the largest private collection of Beatles memorabilia in South Asia, including two gold records from both The Beatles and John Lennon. He will then take you east back toward the beach where you can visit the night markets where he will guide you through the stalls and you can try some local fruit and delicacies and see how the local Balinese shop and obtain their produce before returning to Sindu guest house" where your tour will complete. Where your tour will end and we will arrange to take you back to your accommodation. 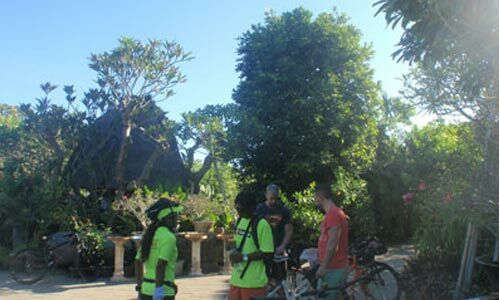 This Afternoon tour includes a 2 1/2 hour tour, experienced local guide hotel transfers, water, cool face towel and a light snack pack is also packed for you. 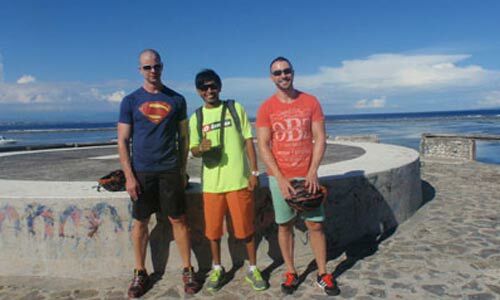 The route also gives you the opportunity to see the real Sanur, mixing beach, countryside and some local hang outs. 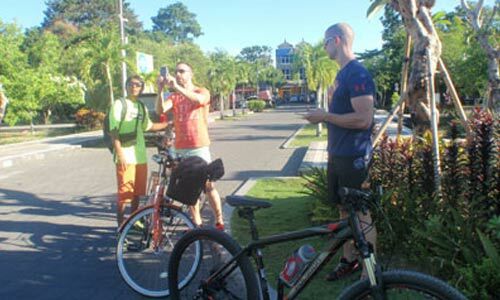 The whole tour will take approximately 2 and half hours and you will cover around 15 km.